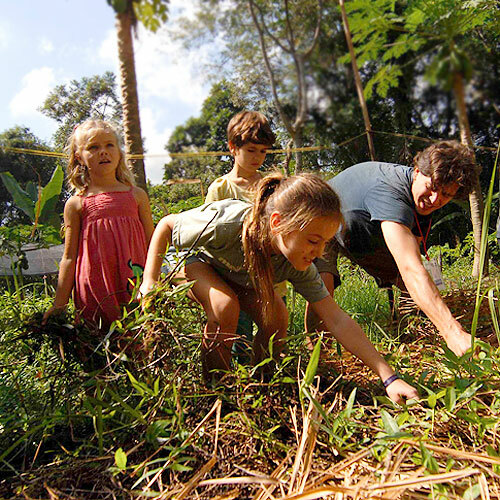 Our homegrown, comprehensive Green Studies curriculum evolves from ecology to sustainability while connecting students to our local geographic and cultural context and using a hands-on approach that allows students to ‘get their hands dirty’ and ‘get mud between their toes,’ while reinforcing the essential skills of reading, writing, maths and science. 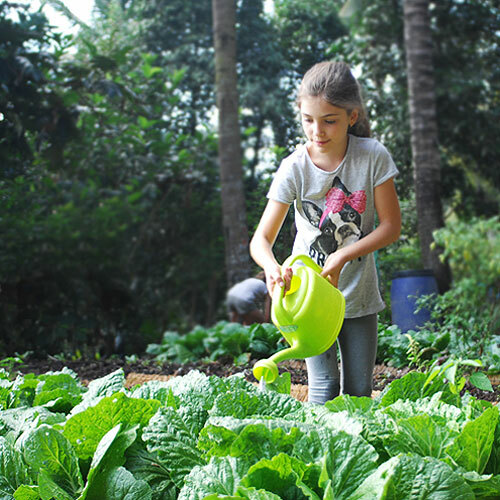 At Green School, Enterprise and Entrepreneurship are not subjects—they are ways of being and doing, part of educating for a sustainable world by developing the skills, habits, and attitudes for students to own their learning and have impact on the world. Students practice entrepreneurial skills on a regular basis – as questioners, thinkers, tryers, failers, and active learners. It starts with the youngest learners, forming personal characteristics, and builds throughout middle and high school where our advanced and confident learners make an impact on the world. 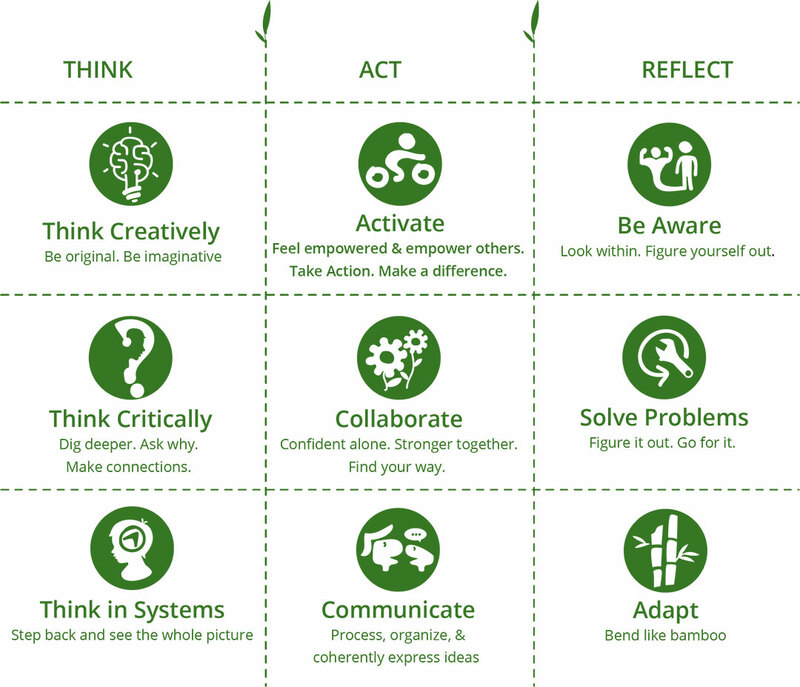 Examples of Entrepreneurial learning range from structured three-week intensive design challenges (i.e., GreenLEAP program) to mentoring individual students to endeavor towards a goal with agency and adaptability. 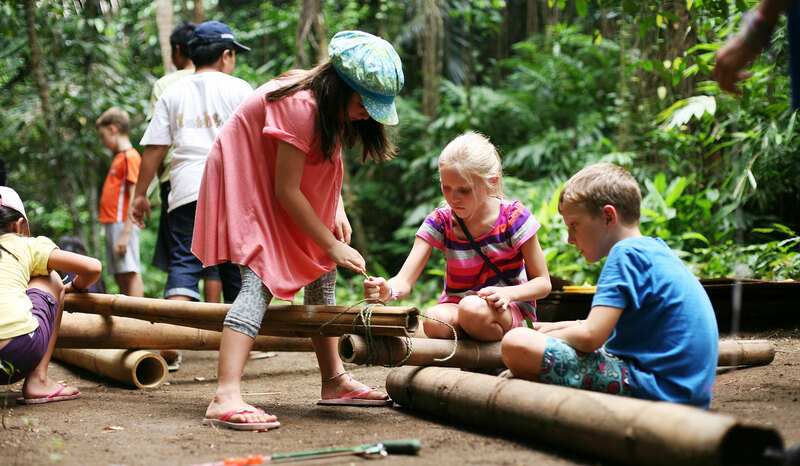 Green School’s Creative Arts Curriculum is richly influenced by our geographical location — the cultural and artistic features that abound in everyday life, celebrations and festivals in Bali. Students regularly explore several forms of creative arts, with the level of sophistication growing as students mature. At weekly assemblies, on campus art galleries, and other community venues, students have regular opportunities to display their art and perform in a supported, safe environment. Through exhibition and performance, we foster student confidence, self-awareness, perseverance, and collaboration. Whenever possible, we pursue opportunities to link strands of the Creative Arts – particularly when it comes celebrating through exhibitions and performance. Theater is a living art that draws on all aspects of world culture as its inheritance and inspiration. The Green School Theatre Arts Program strives to nurture the art of world theatre traditions. We focus on the development of the whole person. With a firm emphasis on physical theater and the study of movement, our theater curriculum focuses on helping students understand and follow their intuition. Students learn to feel comfortable with spontaneity and use their artistic voice to examine the world they live in. Theatre outreach in local community. Green School’s Theatre Arts Program explores the artist’s relationship to the body, the observation of and identification with the natural world, and the development collaboration and the skills of communication. Our classes are designed to inspire the creative mind, focus the analytical mind, and strengthen our students’ command of their body and voice. The Visual Arts curriculum is designed to meet unique student needs in a natural environment using an holistic, student-centered approach. Our mission is to promote a sustainable art practice to help raise students’ awareness of the threats to ecological balance and use eco-friendly art materials. For young eco-artists, we provide a platform for asking environmental questions, raising issues and challenging assumptions, and responding from a visual perspective. 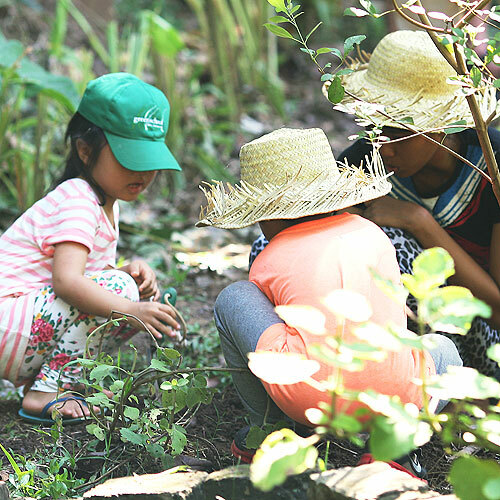 Art in the Primary Years is exploratory in nature with a focus on the creative process, allowing children to express themselves using recycled, repurposed, and natural materials. Examples of projects include leaf mandalas, clay sculptures, and mud painting. In Middle School, students complete artworks using various mediums, including bamboo sculpture, t-shirt printing, graffiti art, and set and prop design. The Green School music program aims to immerse students in a wide range of musical genres and experiences whilst developing a strong sense of creativity, collaboration and musicianship. Development of musicianship and collaborative music making through tuned and un-tuned percussion including Gamelan, Marimba, Jegog, Bambajam, Angklung and many more. Development of multi-instrumentalism and aural ability through a range of ensembles from pop-rock to choir. Development of musical literacy though the learning of musical elements and musical theory. Fostering a strong sense of personal creativity and expression.